School of Rock is an official honorary Helping Ninja! 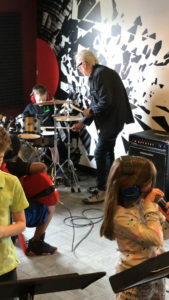 Not only does School of Rock help our youth inspire to be future musicians by providing a unique experience to enjoy and learn the love of music, School of Rock now is now helping the kids of Helping Ninjas experience this one-of-kind opportunity to play in a rock band — AND NOW they are also helping to reduce waste and fight hunger! See more pictures from us rocking out to help reduce waste & food rescue on Earth Day here. All participants of this special event brought an item to donate to Second Helpings. This organization rescues food and feeds those in need. 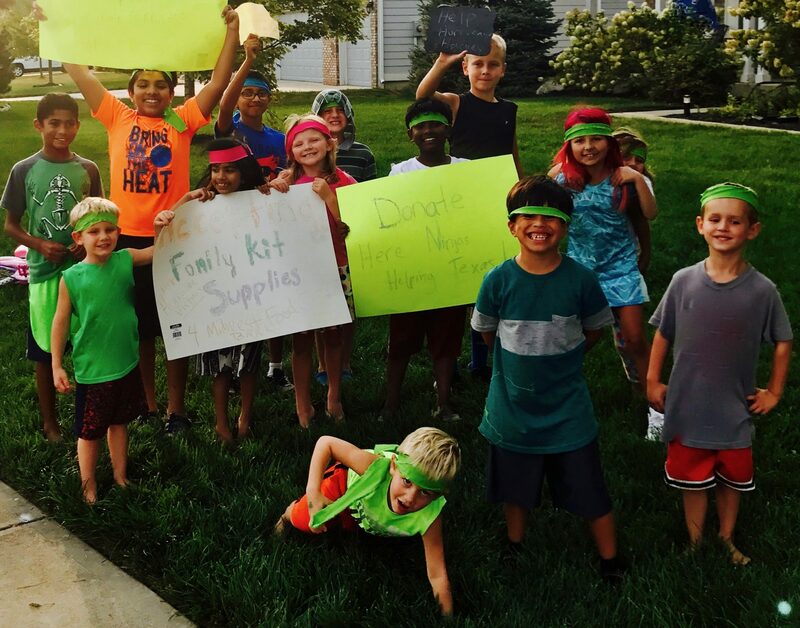 Often they are in need of spices and rice to make meals complete – so, the Helping Ninjas and School of Rock joined forces in helping them! Collecting over $100 worth of Wish List Items. Children participating in this event were ages 4-10. 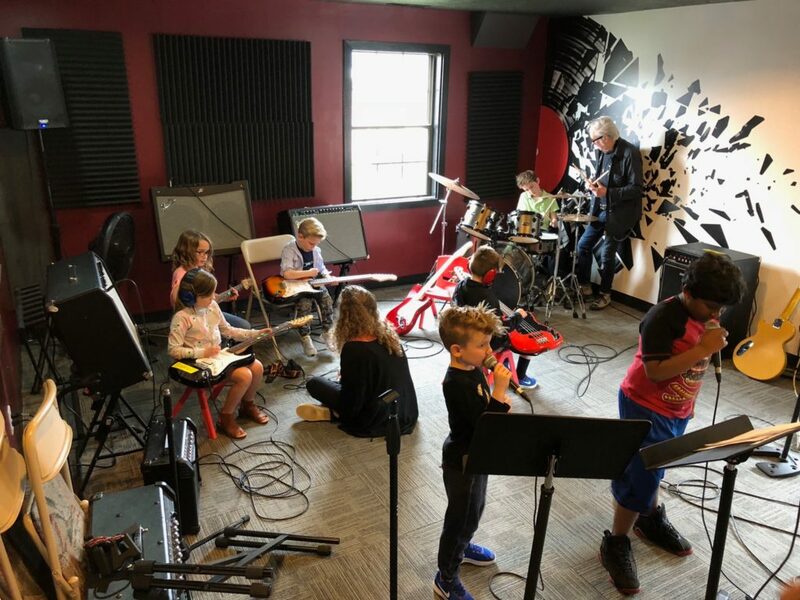 School of Rock offers classes for 5+ and adults! Everyone deserves to feel like a rock star at School of Rock. Classes focus on learning in fundamental areas such as stage performance, harmonies, and helps to build confidence, extraordinary teamwork, and achieving excellence through their unique teaching method. Learn more about their Intro To Rock!